It was an old failing that got Manchester United in the second half. PSG scored from a set piece and what proved to be the turning point of the game looked a little too easy. That is the kind of thing that used to happen under the old manager. So PSG will take that away goal back and indeed one more to Paris knowing that they have secured something valuable and if it was all part of the plan – had they identified a definite weakness beforehand – then maybe that was to be expected. 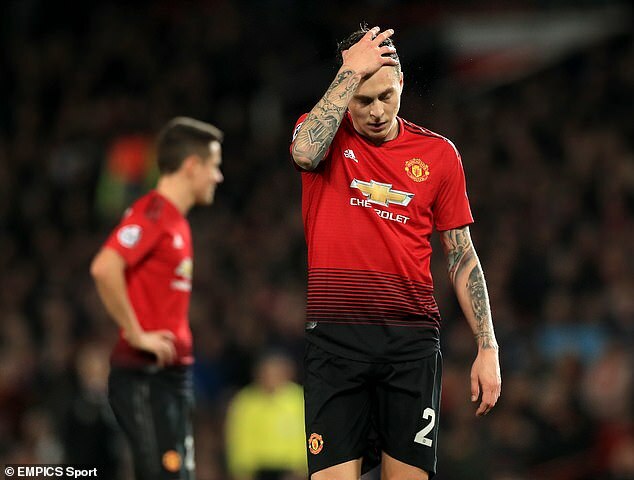 United are a team with flaws in it and here they were, exposed brutally and efficiently during a 20 minute spell of second half football from the French champions that reminded us just how far the Old Trafford rebuild still has to go. 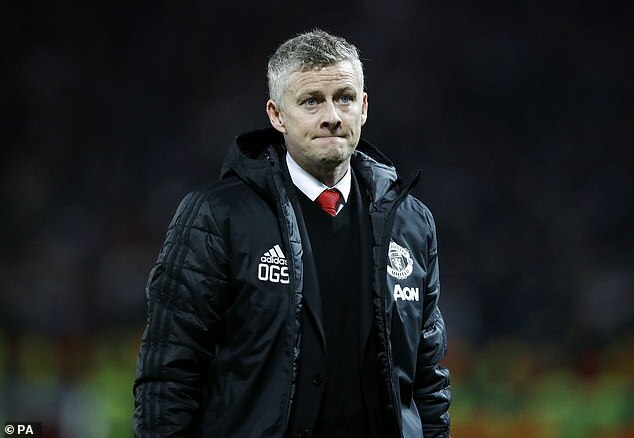 What Ole Gunnar Solakjaer has done in his eight weeks back in Manchester has reintroduce spirit and purpose and bring some kind of clarity of vision to United’s football. It has been enough to move his team back in to the top four of the Premier League but it has done nothing – how could it? – to repair some basic weaknesses of personnel. That will have to wait until the next transfer window and will no doubt extend in to two or three beyond that as well. United, for example, remain uncertain across the back. They do not defend corner and free-kicks very well and against a very good side – a side that came to Old Trafford with the courage to play on the front foot – that was made very clear. PSG won the game and in all likelihood the tie in that spell at the start of the second half. They scored twice and could have scored five. It was a devastating spell of handbrake-off football and spoke of the difference in quality between the two teams. While United have been thrashing about wildly in the transfer market since the days of Sir Alex Ferguson – buying players with all the strategy and calm of a schoolyard Panini sticker collector – PSG have been relentlessly stockpiling real talent. 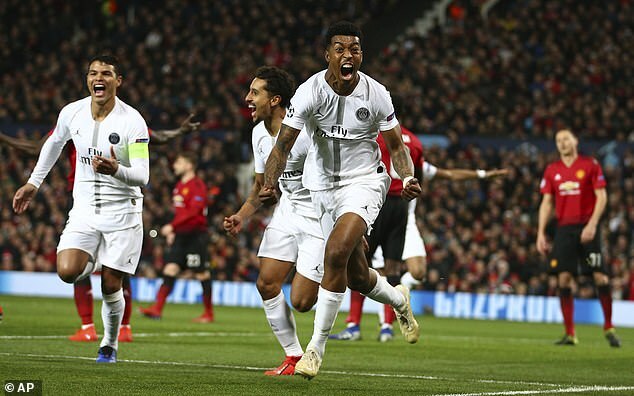 It has been an expensive project but here we saw the fruits of all that investment as PSG finally produced a performance of note on English soil. Back in the autumn, the French champions were blown away by the ferocity of Liverpool’s intense high press in a group game at Anfield. When Jurgen Klopp’s team pounded on their doors, they gave way. Here, United began with similar energy and ambition and for a while it was impressive. Gone was the cautious European mindset of Jose Mourinho’s United and here in its stead was an altogether more aggressive and confident approach. United were the home team and at last they did their best to resemble one. But what we cannot avoid is that for all their intent and possession and occasional speed on the counter, United didn’t really create a proper chance. 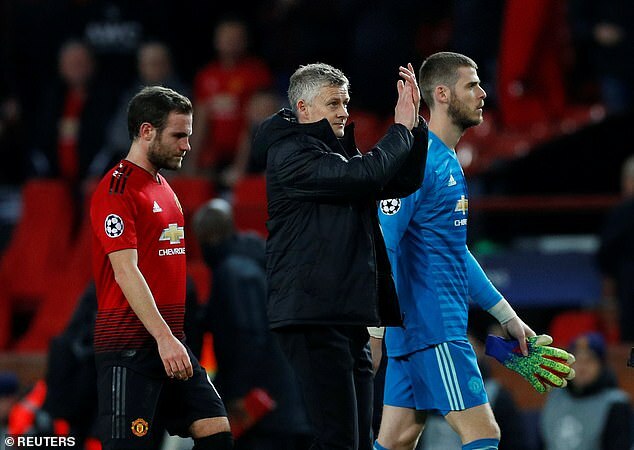 They didn’t really fashion one all night and when injuries forced Solskjaer in to a reshuffle at half-time the whole nature of the game changed. Jesse Lingard and Anthony Martial had been an integral part of what United had done in the opening period, playing high on the PSG back four. At times they helped to spread a little panic. Twice, for example, PSG goalkeeper Gianluigi Buffon played the ball straight out of play under penalty box pressure from red shirts. 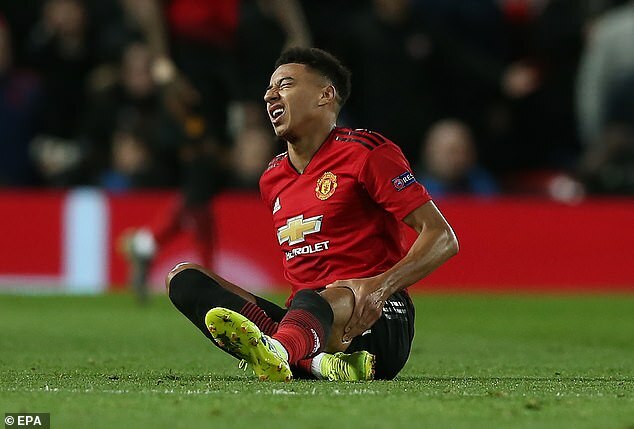 But neither Lingard or Martial were available for the second half and their replacements Juan Mata and Alexis Sanchez were never going to replicate their energetic menace and maybe this represented Solskjaer’s first misstep as United manager. With two key players gone, maybe the 45-year-old needed to find another way for his team to play. Maybe it was time to try and close the game down, remove its ebb and flow. 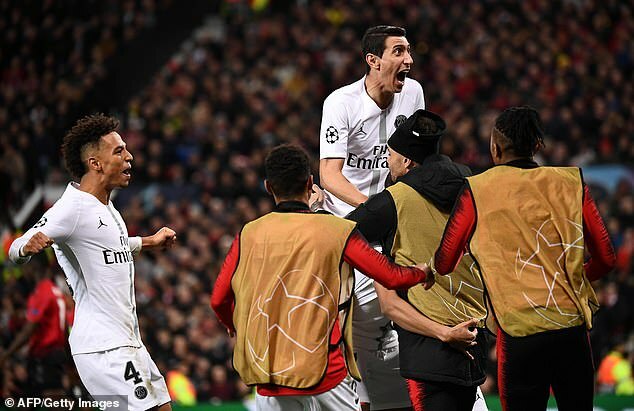 Instead, United simply began to concede possession and then territory and with a sniff of ascendency in their nostrils, PSG rolled all over them. The Italian midfielder Marco Verratti was PSG’s best player but Kylian Mbappe scored his team’s second goal and was terrific also. The young French forward is seriously quick but intelligent too. The timing of his acceleration on to a low cross to score from six yards looked simple but was not. Mbappe served notice of his burgeoning talents during the World Cup and it would appear his development is now entering its next phase. So too maybe is that of PSG, at least in terms of their European story. Last year’s Champions League campaign was ended at this stage by Real Madrid, the year before it was embarrassment, a 6-1 defeat at Barcelona. If they complete this job, it will feel significant. Defeat for United would be equally instructive, just in a different way.